The Conquest Class was a group of twelve brig-rigged gunboats designed by Sir John Henslow, Co-Surveyor of the Navy. They were the first purpose-built gunboats built for the Royal Navy in the period of the French Revolutionary and Napoleonic Wars. Of the twelve vessels of the class, five were built in Kent shipyards under Navy Board contracts and this article covers the careers of all of them. The design underwent a process of evolution before the first invitations to tender were sent. They were originally meant to be operated under oars only, being powered by 18 oars. For that reason, they were built with a flat bottom, to enable them to operate in shallow waters. It was subsequently decided that they would be required to operate outside domestic inshore waters, so would need to be fitted with a sailing rig. This was initially to be a two-masted fore-and-aft schooner rig, but this changed, firstly to a brigantine rig, with square sails fitted the entire height of the fore mast and fore-and-aft sails only on the mainmast. The rig was changed again to a brig rig, with square sails fitted to both masts. The problem this created was that vessels with square sails require more men to operate them, with the result being that the vessels were overcrowded, even by the standards of the day. Their flat bottoms also meant that they were relatively poor sailers, finding it difficult to hold a course when the wind was coming from abeam or slightly ahead. This problem was addressed by the 1797 Pattern gun-brigs, the Acute and Courser Class vessels, which followed them. These vessels had much the same hull-form, but were fitted with Schank Sliding Keels. Contracts for the construction of all twelve vessels were signed on 6th March 1794. The Conquest Class gun-brigs were vessels of 147 tons. They were 76ft long on the main deck and 62ft 2in along the keel. They were 21ft 1in wide across the beams. The vessels were armed with 10 x 18pdr carronades on their broadsides and 2 x 24pdr long guns on Gover Carriages in their bows. As originally designed, they were also intended to be fitted with a pair of 4pdr long guns in their stern chase gunports, but in the end, none of them actually had these guns fitted. They were manned by a crew of 50 officers, seamen and boys. The vessel would be commanded by an officer with the rank of Lieutenant in the position of Lieutenant-in-Command and he would be the only commissioned officer aboard. To assist him in the day-to-day sailing and navigation of the vessel, a Warrant Officer with the status of Second Master was appointed by the Navy Board and a Quartermaster was appointed by the commanding officer to oversee the vessel's steering. The roles of Purser and Clerk were combined in the form of the Clerk-in-Charge and the vessel had an Assistant Surgeon appointed to take care of the health of the crew. A senior Boatswain's Mate was appointed to oversee repairs and maintenance to the vessel's masts, rigging, sails and boats while a Carpenter's Mate was appointed to look after the vessel's hull, frames and decks and a Sailmaker was appointed to maintain and repair the sails. To assist the Lieutenant-in-Command with day-to-day command of the vessel, a senior Midshipman was appointed. HMS Attack was built at the shipyard of John Wilson and Co at Frindsbury. Her first keel section was laid just after the contract was signed and the vessel was launched into the River Medway on the 28th June 1794. Immediately after launch, she was taken downstream to the great Royal Dockyard at Chatham to be fitted with her masts, rigging and guns. On the 11th December 1794, HMS Attack was declared complete, but didn't commission until February the following year, under Lieutenant Thomas Eyre Hinton. HMS Attack spent the most part of the French Revolutionary War engaged in patrols of the enemy's North Sea and English Channel coastlines and in escorting convoys in the English Channel and the North Sea. By August 1799, HMS Attack was under the command of Mr Joseph James and was part of the North Sea Fleet under the overall command of Admiral Sir Adam Duncan, now the Lord Duncan of Camperdown. The North Sea Fleet was mostly engaged in keeping the bulk of the Dutch fleet blockaded in Texel, with other ships bottled up in Amsterdam and in the Meuse Estuary. In the meantime, Britain had entered into a treaty with the Russians and the two nations had agreed that they would invade Holland. The Russians had agreed to supply 17,500 men, six ships of the line, 5 en-flute armed frigates and two transport ships. In return for this, the British had agreed to pay the Russians £88,000 up front for the soldiers, followed by £44,000 per month. For the ships, the British had agreed to pay the Russians £58,976. 10s up front for the first three months use, followed by £19,642. 10s per month following the expiry of the first three months term. On 13th August, the invasion force departed from the Margate Roads and the Downs. The Naval element of the task force comprised the Russian 74 gun ship Ratvison, the Russian 66 gun ship Mistislov, the British ships of the line HMS Ardent, HMS Monmouth, HMS Belliqueux, HMS America, HMS Veteran, the ex-Dutch HMS Overyssel (all of 64 guns), HMS Glatton (54), HMS Isis and HMS Romney (both of 50 guns) and the frigates HMS Melpomene, HMS Shannon, HMS Latona (all 18pdr-armed frigates of 38 guns), HMS Juno and the ex-French HMS Lutine (both 12pdr-armed frigates of 32 guns). HMS Attack was one of a number of gun-brigs attached to the invasion force. The force was commanded by Vice-Admiral Sir Andrew Mitchell, flying his command flag in HMS Isis. On 15th August, Lord Duncan arrived in HMS Kent (74) and took overall command of the operation. On arrival off the Dutch coast and after having been delayed by bad weather, the British attempted to negotiate the surrender of the Dutch fleet under Admiral Story. The Dutch Admiral was having none of it and advised the British that the Dutch would defend their ships should the British try to take them. Mindful of the bloodbath at the Battle of Camperdown, fought against the Dutch back in 1797, the British were reluctant to use force against the Dutch fleet. By 30th August, the Anglo-Russian force ashore had taken sufficient ground to enable the British to take the Dutch naval base at Texel and to that end, at 5am, Vice-Admiral Mitchell and his ships got underway, standing along the narrow and intricate channel of the Vlieter towards the Dutch squadron guarding the entrance. This squadron, of 8 two-deckers and frigates was anchored in line ahead. On the way in, Vice-Admiral Mitchell sent the 18 gun ship-sloop HMS Victor ahead with a summons for Admiral Story to come aboard HMS Isis and negotiate. HMS Victor was met by boats under a flag of truce with two Dutch captains, Captain Van de Capell and Captain De Yong. He returned to the flagship with the two Dutchmen. After speaking with the two Dutch officers, Mitchell ordered his ships to anchor in sight of the Dutch fleet. 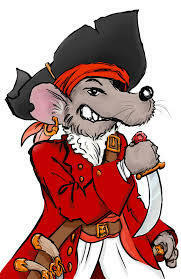 The Dutch captains conveyed Mitchell's ultimatum to Admiral Story with a message that he had an hour to make up his mind. Within the hour, the two Dutch officers returned. Admiral Story had decided to surrender. In fact what had happened was that on sighting the British force bearing down on them, the Dutch crews had mutinied as one and had refused point blank to fight. The British it seems, were not the only ones mindful of the Camperdown bloodbath. This refusal to fight left Admiral Story with no alternative but to surrender in what is now known as the Vlieter Incident. The Dutch ships were escorted to Sheerness by HMS Ardent, HMS Glatton, HMS Belliqueux, HMS Monmouth and the two Russian ships. HMS Attack then returned to the same duties she was employed in before. On the 25th March 1802, the Treaty of Amiens was signed ending the war. Amidst politicians promises of a lasting peace, HMS Attack was paid off at Sheerness and entered the Ordinary there. On the 9th September 1802, HMS Attack was one of a number of gunboats laying in Queenborough Creek advertised for sale. HMS Conquest was built at the Quarry House shipyard of Thomas and Josiah Brindley at Frindsbury. Her first keel section was laid just after the contract for her construction was signed in March of 1794 and she was launched into the River Medway the following July. After her launch, she was taken to the Royal Dockyard at Chatham to be fitted out and commissioned for the English Channel under Lieutenant Francis Vessey in September of 1794. One of the few gunboats to survive the mass sale of gunboats following the signing of the Treaty of Amiens in March of 1802, she spent the entire period of the French Revolutionary and Napoleonic Wars operating in the English Channel and the Western Approaches. From May of 1805, she was based in Jersey. Her longest-serving commander was Mr Walter Boswell. He had first entered the Royal Navy on 1st September 1782 at the age of 12 as a Lieutenant's servant in HMS Blenheim (90) and shortly afterwards, saw action at the Battle of Cape Spartel. He remained in the Royal Navy after the American War of Independence, becoming a Midshipman. After completing his six-year term as a Midshipman without having been put forward for his Examination for Lieutenant, he continued to serve as a Masters Mate. He was serving in that capacity and saw action again during Lord Hood's Toulon Campaign of 1793 in the ex-French HMS Courageux (74) under Captain the Honourable William Waldegrave. He saw action again at the Battle of the Glorious First of June in 1794 as a Masters Mate in HMS Queen Charlotte (100). By 1795, he was Masters Mate in HMS Barfleur (98), flagship of his former commander, now Vice-Admiral Sir William Waldegrave and it was the Vice-Admiral who finally put Mr Boswell forward for his Lieutenant's Examination, which he passed on the 20th March 1795. After service in various ships as a Lieutenant, he received his first command appointment as Lieutenant-in-Command of HMS Conquest on the 29th October 1804. He remained in command of the vessel for almost ten years and was appointed Master and Commander in HMS Conquest on the 14th June 1814. He was replaced by Lieutenant James Rogers on the 30th August 1814 and was placed on half-pay. In 1818, he emigrated to the town of Cobourg, on the shores of Lake Ontario in Canada with the intention of taking up a grant of land and acquired a large farm east of the town, which he name Beech Grove and married the daughter of another half-pay naval officer. Their family and their descendents became prominent members of both town and provincial society. In the meantime, HMS COnquest was laid up at Plymouth on the end of the Napoleonic War in 1814 and was put up for sale there on the 18th September 1816. HMS Fearless was built at the shipyard of William Cleverley in Gravesend. Her first keel section was laid later in March 1794 and she was launched into the River Thames the following June. After her lauch, she was taken to the Royal Dockyard at Woolwich to be fitted out and commissioned for the Channel under Mr John Twisdon in August of 1794. She was declared complete at Woolwich on the 26th October 1794. On the 29th December 1798, HMS Fearless was sent from Plymouth with two storeships to the Isles of Scilly in order to return stores recovered from the 74-gun ship HMS Colossus which had been wrecked nearby. On the 14th June 1802 as a result of the signing of the Treaty of Amiens, HMS Fearless was paid off into the Plymouth Ordinary. After the resumption of war in May of 1803, HMS Fearless was recommissioned at Plymouth under Lieutenant Richard Williams on the 1st August, to be based in Jersey. On the 22nd January 1804, HMS Fearless was at anchor in Cawsand Bay in Plymouth Sound with alighter alongside when a severe gale blew up. With both vessels being overwhelmed by heavy seas, Mr Williams ordered that the anchor cable be cut and to attempt to sail to sheltered waters further into the Sound. With his vessel and the lighter being blown towards rocks at Redding Point, Mr Williams ordered distress guns to be fired and these attracted the attention of Cawsand fishermen who rescued all but two men from both vessels. HMS Fearless was driven onto the rocks and was wrecked. HMS Force was built at Thomas Pitcher's shipyard in Northfleet. Her first keel section was laid soon after the contract for her construction was signed and the vessel was launched into the River Thames on the 31st may. She was taken to the Royal Dockyard at Woolwich to be fitted out and commissioned for the Channel under Lieutenant William Robert Davis in August. On the 16th October 1794, HMS Force was declared complete at Woolwich and sailed to join the Channel Fleet off Spithead. HMS Force was employed on patrols of the English Channel and in escorting convoys. Mr Davis died in 1796 and was replaced in HMS Force by Mr Joseph Tokely. Between August and October 1799, she was involved in the Anglo-Russian expedition to Holland described above. On 19th August 1800, HMS Force was part of a force commanded by Mr John Wright, Master and Commander in the large gun-brig HMS Wolverine of 14 guns. Commander Wright's force had succeeded in forcing an enemy convoy to take shelter in the mouth of the River Vire, near Isigny-sur-Mer in modern-day Normandy. On the day in question, two large sloops were seen attempting to escape and make their way along the shore to the east. The three British gun-brigs, HMS Wolverine, HMS Sparkler (12) and HMS Force gave chase and forced the two enemy vessels to run ashore at Grand Camp Bay, where they were under the cover of two powerful shore batteries. Undeterred, Commander Wright ordered a boat attack, with HMS Sparkler and HMS Force giving covering fire. Lieutenant Gregory of HMS Wolverine led the attack using HMS Wolverines boats and with a party of Royal Marines, boarded the largest of the two enemy vessels within 20 yards of the shore, under fire from three field pieces and the muskets of over two hundred French soldiers. Nevertheless, they managed to set the enemy vessel on fire and she exploded, wounding three of HMS Wolverine's men. The other sloop was too badly holed to be refloated and there were no other casualties amongst the British force. In early 1800, a sequence of events began which was to indirectly a major action which was to involve HMS Force and her crew. It was also to lead, eventually to the opening of another front in the war. In time of war, the British had always insisted on the right to stop and search neutral ships at sea for contraband and war materials. The Dutch Navy had ceased to be an effective force after the Battle of Camperdown and the Vlieter Incident. As a result of this, Britain's erstwhile ally Russia had joined together with other, neutral northern nations to try to force the British to give up this right. On 25th July 1800, a small British squadron which included the 20 gun ship-sloop HMS Arrow and the 28 gun frigate HMS Nemesis encountered the large 40 gun Danish frigate Freya, which was escorting a convoy of six vessels through the English Channel, near the Goodwin Sands. In accordance with the age-old British tradition of stopping and searching neutral vessels, Captain Thomas Baker of HMS Nemesis hailed the Freya and informed the Danes of his intention to send a boat around each vessel in turn and conduct a brief search. The Danish captain, Captain Krabbe responded to the effect that the Freya would fire on the British boat if they attempted to board any of the vessels under his protection. The British duly put their boat into the water and the Danes duly carried out their threat. In the action which followed, the Freya was forced to surrender after having suffered 2 men killed and five wounded. The Danish convoy was escorted to the Downs and anchored there. In an attempt to diffuse the situation, the Commander-in-Chief at the Downs, Vice-Admiral Skeffington Lutwidge ordered that the Danish vessels be allowed to continue flying their own colours. This incident and another similar incident in the Mediterranean had threatened to open a major rift between Britain and Denmark. It was vitally important for Britain to maintain good relations with neutral Denmark, since Denmark controlled the Kattegat, that narrow passage from the North Sea into the Baltic. In the meantime, news reached Tzar Paul that the British had refused to hand Malta back to the Knights of St John after having driven the French from the islands back in 1797. This enraged the Tzar who had been promised control of the islands by the French. On 5th November, his order to seize all British shipping in Russian ports was reinstated. In the December, the Tzar proposed a confederation of Armed Neutrality which was to comprise Russia, Sweden and Denmark. If allowed to take form, this would mean the British could potentially face an additional opponent possessing a total of over 100 ships of the line as well as the combined fleets of Spain and France. The British decided to meet this new menace in kind and a fleet began to be assembled at Yarmouth, to be led by Vice-Admiral Sir Hyde Parker with no less an officer than Vice-Admiral Lord Nelson as his second-in-command. In early March, HMS Force joined this fleet and prepared to sail to Denmark. With Parker flying his command flag in HMS London (98) and Nelson flying his in HMS St. George (98) and accompanied by 18 more ships of the line, with 4 frigates plus sloops-of-war, bomb vessels and gun-brigs, the fleet departed Yarmouth on 12th March 1801. Parker had orders to neutralise the fortifications at Copenhagen and the Danish fleet should last minute negotiations fail. Parker's plan was that Nelson would lead the attack squadron, comprising of the shallower-draughted and smaller ships of the line, while Parker held back with the bigger ships. Nelson shifted his command flag to the 74 gun ship HMS Elephant. 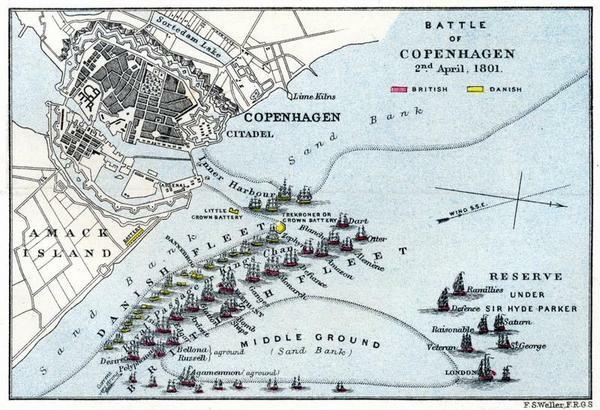 HMS Force did not become involved in the fighting in the Battle of Copenhagen, so suffered no damage or casualties. On 25th March 1802, the Treaty of Amiens was signed, bringing an end to the French Revolutionary War. At the time, the British Government felt that the war was truly over and that Europe and the rest of the world would be at peace for the foreseeable future. On the 9th September 1802 as part of the drawdown of the fleet, HMS Force was sold at Sheerness. HMS Piercer was built at the shipyard of Thomas Jones King on Beach Street, Dover. Her first keel section was laid at Dover shortly after the contract for her construction was signed and she was launched into Dover Harbour on the 2nd June. On the 7th June, she began fiting out at the Deptford Royal Dockyard. In February of 1795, HMS Piercer commissioned under Mr William Elliot. By August 1799, HMS Piercer was under the command of Mr Duncan Menzies and was and between August and October that year was involved in the Anglo-Russian expedition to Holland described above. With the end of the French Revolutionary War in March of 1802, HMS Piercer was paid off at Chatham, where she was sold on the 30th May. HMS Teazer was built at the shipyard of John Dudman at Deptford. Her first keel section was laid shortly after the contract for her constructionw as signed and she was launched into the River Thames on the 26th May. After fitting out at the Deptford Royal Dockyard, she commissioned for the Downs under Lieutenant Matthew Smith in February 1795. Mr Smith was in command until August of 1797, when he was replaced by Mr Thomas Lowton Robins. Between August and October 1799, HMS Teazer was part of the Anglo-Russian expedition to Holland. On 27th June 1800, HMS Teazer was part of a squadron commanded by Captain Robert Inman in the 12pdr armed 32-gun frigate HMS Andromeda. In addition to HMS Andromeda and HMS Teazer, the squadron comprised the 9pdr-armed 28-gun frigate HMS Nemesis, the 28-gun 32pdr carronade-armed ship-sloop HMS Dart, the 18pdr carronade-armed 14-gun fireship HMS Comet, the hired armed cutters Kent of 16 guns, Ann of 12 guns and Vigilant of 6 guns. There were also the fire-ships Falcon, Rosario and Wasp, all merchant vessels purchased for that use. Also present were the gun-brigs HMS Boxer and HMS Biter (both 18pdr carronade-armed vessels of 12 guns). The squadron assembled off Dunkerque and was tasked with capturing or destroying four large French frigates which had been blockaded in the port for some time. The French frigates were the 24pdr-armed 44-gun frigate Poursuivante, the 18pdr-armed 40-gun frigate Carmagnole, plus the Desiree and Incorruptible, both 18pdr-armed 38-gun frigates. Contrary winds and unfavourable tides prevented the attack until the evening of 7th July, when HMS Dart led the attack, followed by HMS Teazer, HMS Boxer, HMS Biter, the fire-ships and the cutters. On entering the anchorage off the harbour, HMS Dart was challenged by one of the French frigates. Not recognising HMS Dart as being British in the darkness, the Frenchman asked where she was from, to which the answer was "Bordeaux". When asked about the convoy of vessels following her in, the answer was "Je ne sais pas", upon which the conversation ended and the British vessels continued to brazenly sail into the heart of a heavily fortified enemy harbour. HMS Dart next arrived at the second innermost French frigate, whose crew realised that something was seriously wrong and opened fire. HMS Dart replied with a full broadside of 15 32pdr carronades, double shotted. Letting go a stern anchor to bring her to a stop, HMS Dart arrived at the innermost French frigate, the Desiree and her crew boarded the French frigate and after a short fight, captured her. On the way in, once one of the French frigates had opened fire, all hell broke loose and all the gunbrigs opened fire on the remaining three French frigates, while the cutters held off an attack by French gunboats. The remaining enemy frigates cut their anchor cables and escaped. The Desiree was taken out of the harbour into the English Channel, while the fire-ships were fired and left to drift into the harbour once the British vessels had made off. In the Attack on Dunkerque on 7th July 1800, HMS Teazer suffered no casualties or damage, while the Desiree was taken into the Royal Navy, converted into an 18pdr-armed 36 gun frigate and commissioned under her French name. On the 2nd April 1801, HMS Teazer participated in the Battle of Copenhagen described above. On the 18th April 1802, HMS Teazer was paid off at Sheerness following the signing of the Treaty of Amiens and the resulting end of the war. The vessel was sold the following October.